Want to begin your new year on a happy note? Check out Santa Barbara–raised Joss Jaffe’s new video for his song “Ganesha,” released on the heels of the earth’s recent turn around the sun. 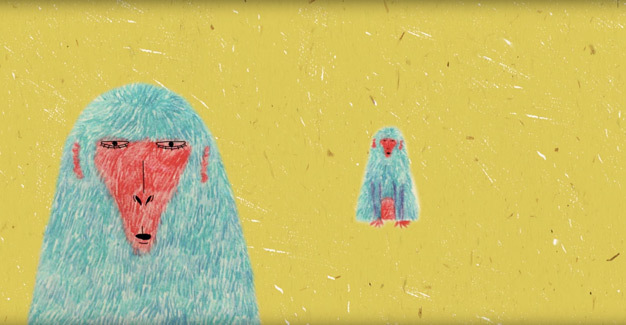 Featuring the lovingly drawn, warmly toned animations of Taiwanese CalArts graduate Maureen Kuo, the celebratory song and music video pairing is a buoyant balm to soothe prickled minds and ears. Born in S.B., Jaffe launched his musical journey in Oakland and has since become an acclaimed performer in global-music and yoga-music circuits. For his latest album, Dub Mantra Sangha (2015), he had dreamt of a fully animated video for one of his songs, but he needed a collaborator. “I’m a big animation fan and knew I wanted one song from the album to have an animated music video,” said Jaffe. He sent out a call to all the students of CalArts, seeking an artist to help weave his visual-musical tapestry, and within an hour, Kuo replied. Jaffe called the process “very collaborative.”“I like to give the artists and musicians I work with a lot of freedom, so I asked her which song spoke to her.” She chose “Ganesha,” a mantra sung to the Hindu god in charge of “removing obstacles,” Jaffe said. Jaffe also called upon Grammy-nominated multi- instrumentalist Jai Uttal, who graces the song with his enchanting finger-picking, and Suzanne Sterling, the celebrated singer and cofounder of social-justice yoga group Off the Mat into the World. Her uplifting vocals, sung with Jaffe, could ease even the tenser yogis among us. Ever the yogi, Jaffe heads into 2018 with an active plan. He’s bound to play in South Korea at Seoul’s Yoga Mala event, and he’s preparing a remix album with some notable names in yoga dance music, like Bluetech, DJ Taz Rashid, and Shaman’s Dream. “I feel this video represents how I envision people and cultures living together in the world peacefully.” If you’re leaving 2017 behind feeling disillusioned by Procrustean political proclamations, “Ganesha” is a call to a broader, more peaceful worldview. See the “Ganesha” music video at tinyurl.com/jaffe-ganesha.